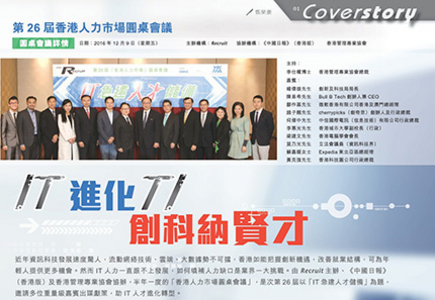 [Hong Kong] Jason Chiu, cherrypicks’ CEO, reveals his views on the insufficient amount of Technology Innovation (TI) to solve problems at the IT talents themed roundtable conference co-organized by Recruit, the Hong Kong Management Association (HKMA) and China Daily Hong Kong on 09 Dec. The story was featured in Recruit on 16 Dec. Please see attachment for full story.